Bill Cosby: "Don't put me on #MeToo"
Bill Cosby says he does not want to be on any sort of "#MeToo" list. The allegations of sexual assault against the disgraced comedian preceded the #MeToo movement, but he name-checked the initiative at a dinner in Philadelphia. Cosby was dining at Ristorante La Veranda on Wednesday with childhood friend Ed Ford. He invited journalists to document the meal, reports the Philadelphia Inquirer. Cosby lives in Massachusetts, but is visiting his hometown. When a reporter asked Cosby about his upcoming retrial for the alleged assault of Andrea Constand, he said, "We're ready." The trial is set for April. 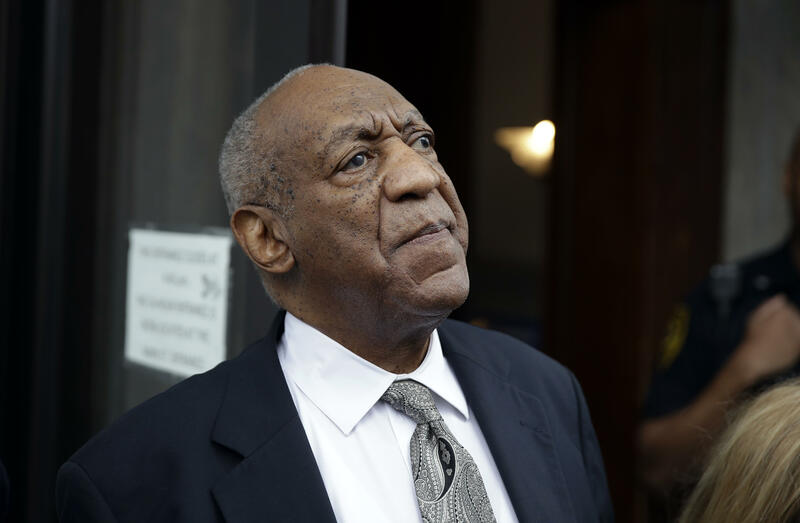 Constand alleged that Cosby drugged and molested her in 2004. She said in court that Cosby gave her pills and then penetrated her with his fingers against her will while she was paralyzed and half-conscious. She said that they never had a romantic relationship, and that she had rebuffed his previous advances toward her. Cosby said the encounter was consensual. Dozens of women have accused Cosby of sexual assault, but the statute of limitations for prosecution had run out in almost all of the cases. Cosby was only charged in Constand's case. The judge in the sexual assault trial in June declared a mistrial after jurors said they were deadlocked after five days of deliberations. The Inquirer reports that after dinner, Cosby shook a reporter's hand and said, "Please, don't put me on MeToo." What's next for the #MeToo and "Time's Up" movements?